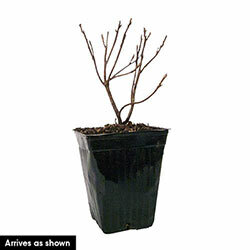 Foliage Type: Dark green foliage in the summer followed by a variable red fall color. Deciduous in winter. 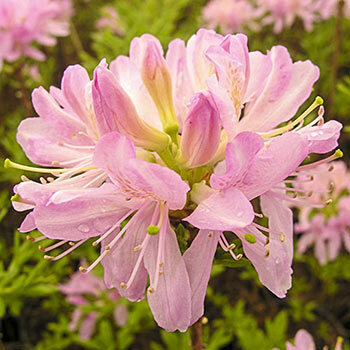 Flower Form: 1 1/2" flowers appear in trusses of up to 12. Planting Instructions: Prefers semi-shade, especially from afternoon sun. Soil Requirements: Well-drained, humus enriched, acidic soil. Pruning: To shape and remove dead wood. After flowering and before new flower buds form in mid Summer.